For the directors of limited companies, the yearly Self-Assessment Tax Return can be a minefield, fraught with confusing terms and routinely put off to the last minute. If you need to submit a Self-Assessment, it’s imperative that you get it in on time and guarantee it’s free of any mistakes. Keeping your records in order and your bookkeeping up to date will help to ensure that you can to submit your return with minimum stress and hopefully no slip-ups. HMRC are becoming increasingly vigilant of mistakes, and if they have reason to believe there are any intentional errors, it can be costly. To help you avoid the common pitfalls, take a look at these five mistakes that are frequently made while completing tax returns. We all run busy lives and missing the submission deadline for your Self-Assessment Tax Return is one of the simplest and most frequent mistakes. The best way to avoid this is to submit your form as early as possible. Don’t worry about having to complete the online form all in one go; you can save and come back to it whenever you’d like to update it; without losing any information. Online Self-Assessments need to be submitted by 31st January. Failure to submit your Self Assessment by the deadline will leave you with a penalty from HMRC (£100 if your return is up to three months late). We always recommend that you check, and double check, the figures and calculations in your Self-Assessment for any errors. Filling in the wrong amounts is easily done, especially if your record-keeping is unruly or incorrect. Remember, even if your return is completed by a specialist accountant, you are still responsible for its accuracy so be sure to give a thorough review prior to submission. HMRC can seek prosecution for any deliberate efforts in your tax return and are increasingly likely to rule any mistake as intentional. However, if you do realise that you’ve submitted your Self-Assessment with errors, you have 12 months from the due date to correct them. If you have any additional income not covered by your main tax return, you will need to include supplementary pages. Handily, while completing the return online, you’ll automatically be alerted if any pages are missing. It’s extremely important to ensure both your NI and UTR numbers are correct, as a mistake in either could invalidate your tax return. Your NI will have been given to you when you started working and can be found on old pay slips or tax documents. Your UTR is a ten digit number. If you’ve previously submitted a Self-Assessment Tax Return, you’ll find it on any of your correspondence with HMRC. If this is your first time filing a Self-Assessment, you need to alert HRMC by completing an online form; they’ll then send you a UTR. It takes HMRC up to 6 weeks to issue an individual with a UTR number, so be sure to apply with plenty of time. If you ensure that you’re on the lookout for these mistakes as well as thoroughly reviewing for any other potential errors or omissions that may crop up in your Self-Assessment, your submission should be clear sailing. For all our clients on our Pro-Active or Managed packages, we prepare and file their Self-Assessment Tax Returns at no extra fee. 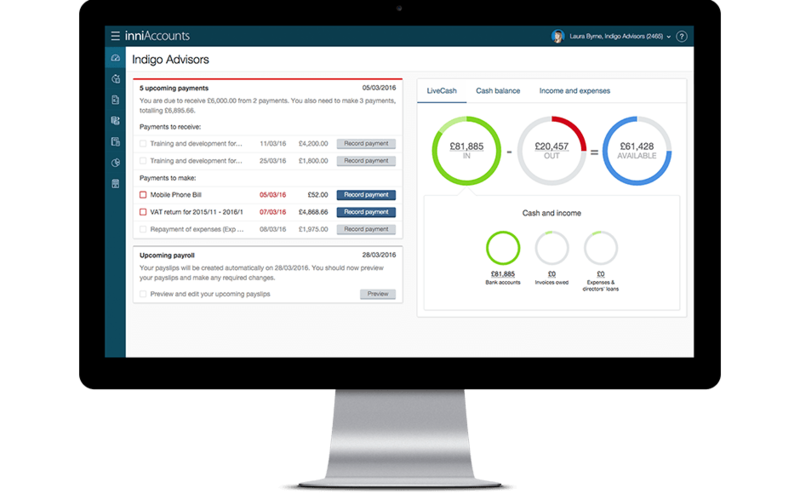 Take a look at how our award-winning software and proactive service could help you take the hassle out of your company’s finances and make achieving your business goals a breeze.